Individual Fundraising for Breast Cancer Patients Made Easy! Thanks to Facebook’s non-profit tools, it is as easy as clicking a button to start individual fundraisers for our breast cancer charity! Simply click and go! Donate Your Birthday – Isn’t this idea Tu-Tu much fun? 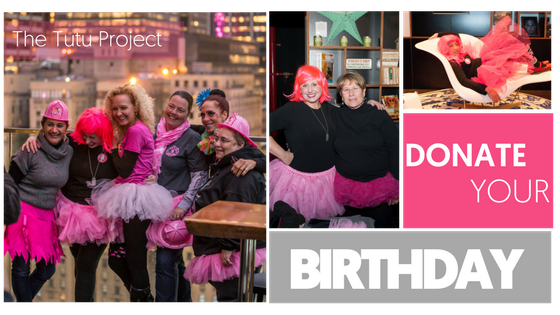 Dare everyone to show up in a tutu or trade your birthday gifts in for a donation! Let them know that you support the lives of those living with breast cancer. Use Facebook to create a donation page and link it to your event invitation!